I was raised by parents who felt strongly about serving and giving to others, whether that be taking kids from the local orphanage out with us on Sunday family outings, generously supporting a family in our church community whose house had burned down, buying 100 boxes of Girl Scout cookies to give to neighbors or purchasing a refrigerator for our Laosian babysitter who was raising five children in addition to helping my mother with her seven. I had never really made the connection about how strongly my parent’s actions and attitudes affected my perspective on service and volunteerism until our Biz+Balance Meeting (www.careerstrategists.net/b-b) last Thursday night when we explored the topic of community service and how it impacts our children, our businesses, our passions and our hearts. My mom was a huge Mother Theresa fan. I think of a quote once shared by this amazing peace advocate "Service is compassion in action." This idea really captures the best of my mom. She might have struggled with self-love and at times was not there for us emotionally --but she was incredibly compassionate towards others, both friends and strangers. Many of us care so deeply about the causes and atrocities that we're grappling with as a society--both in our own cities and globally--that we get overwhelmed and we turn away or shut down, thinking what can I really do that will make a difference? One of the entrepreneurs at our Biz and Balance gathering brought up a great point, though. While many of us do choose to jump in and get involved in our local communities in big ways and small ways--whether it be stocking cans at the local food bank, starting a foundation to promote girls' empowerment or handing out water and sandwiches to the homeless , aren't there just as many opportunities to serve those right around us who desperately need our help? The friend who has two kids with special needs and hasn't had an overnight trip away with her husband in seven years ..... the co-worker’s sister who just got divorced and is struggling to find work....the mom in our book club who just needs someone to really listen and be present for her..... the recent college grad who is struggling with depression and needs referrals for support .....the young Korean boy in your son’s kindergarten class who just moved her and is struggling to assimilate and make friends? 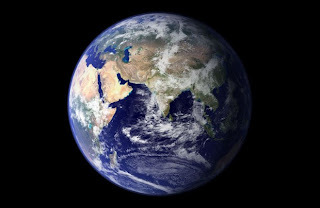 I believe we are all interconnected, and the more we reach out and are present to one another’s pain and suffering the stronger we all become. (And it becomes easier to embrace this esoteric idea that we're all one.) I believe ultimately a huge shift in consciousness could come about, not when we are all finally mediating 30 minutes every morning --although that certainly wouldn't hurt things--but when more and more of us begin reaching out and helping one another make it through this sometimes scary, often isolating and perplexing but wondrous world. P.S. Beginning July 1, I will be on a six-week writing sabbatical. Before you envision me sitting in the Himalayas writing on papyrus leaves, what this actually means is I am “giving” an idea that has been tapping me on the shoulder for a year, four hours of dedicated time each week day. I’ll be playing, writing, exploring, questioning a theme which greatly interests me and I’ll be posting weekly to share my insights on what it’s like to dedicate space in your life to exploring a creative endeavor. http://reneetrudeau.com/htmlemail/june2008.html . And, if it speaks to you, consider joining me at my women's self-renewal retreat in late September! Renee is a 47-year old entrepreneur, community-builder, life balance coach/consultant, author/speaker, wife and mom to a ten-year old son. She is passionate about living inside-out—and teaching others to do the same. She and her family live in Austin, TX. 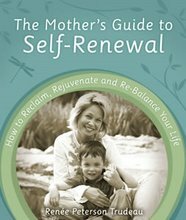 After coaching and leading women's self-renewal circles for years, The Mother's Guide to Self-Renewal: How to Reclaim, Rejuvenate and Re-Balance Your Life was born. 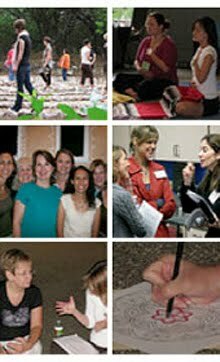 Today, women around the world facilitate and participate in Personal Renewal Groups--based on the book. Renee's newest life balance title Nurturing the Soul of Your Family, releases March 1, 2013! 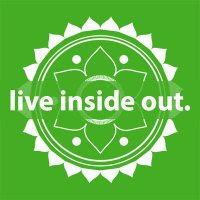 Renee began her blog, Live Inside Out, to chronicle her very real and personal journey to how she finds balance and harmony in the everyday. She is president of Austin-based Career Strategists, a nationally-recognized career and small business coaching and consulting firm dedicated to helping professionals and entrepreneurs successfully navigate their career and life path and Renee Trudeau & Associates. 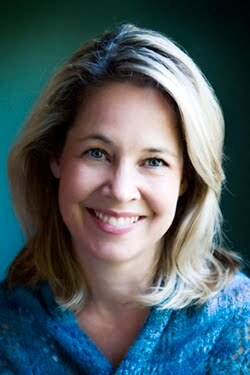 Her unique approach to career and life management has been featured in numerous publications, including US News & World Report, Working Mother, Good Housekeeping, Yogi Times, The New York Times and American Way and in numerous broadcast, print and online business media. You can learn more about Renee’s background and how her path has impacted who she is today.